Some portions of the Site may be subject to additional terms and conditions which will be available for your review prior to accessing these portions of the Site. Such additional terms and conditions will not change or replace these Terms regarding use of the Site, unless otherwise expressly stated. The failure of IBBFA to enforce these Terms at any time for any reason, shall not be construed as a waiver of any right to do so at any time. This Site is controlled and operated by IBBFA, located at 2655 W Guadalupe Road, #27 Mesa, AZ 85202. Please forward any comments or complaints about the Site to customer service. You may not reproduce, sell, resell or otherwise exploit any resource, or access to any resource or Content contained on the Site. You agree not to (a) sell any non-IBBFA products; (b) send spam or promote any non-IBBFA event, materials, companies, or products; (c) transmit negative/harmful messages about any person, facility, or company; (d) link to any inappropriate websites or videos; (e) mention any copying of music or videos, which would be in violation of copyright laws; (f) take any action intended to threaten, intimidate or harass any other use of the Site, or which is abusive, illegal, hateful, sexually or racially or ethnically discriminatory, otherwise objectionable or harmful; (g) further or promote any criminal activity or enterprise or provides instructional information about illegal activities; (h) solicit passwords or personal identifying information for commercial or unlawful purposes from other users; (i) involve commercial activities and/or sales without our prior written consent such as contests, sweepstakes, barter, advertising, or pyramid schemes; (j) promote an illegal or unauthorized copy of another person’s copyrighted work, such as providing pirated computer programs or links to them, providing information to circumvent manufacture-installed copy-protect devices, or providing pirated music or links to pirated music files; or (k) impersonate any person or entity or forge anyone’s digital or manual signature or attempt to gain unauthorized access to IBBFA’s or any other person’s computers, software, or data. BC will remove any other messages it deems as inappropriate for this platform. BC reserves the right to make all final decisions as to what is considered proper and improper. IBBFA reserves the right to investigate suspected violations of these Terms, including the gathering of information from the user or users involved and the complaining party, if any, and examination of material on IBBFA’s servers and networks. You hereby authorize IBBFA and its distribution affiliates and service providers to cooperate with (a) law enforcement authorities in the investigation of suspected criminal violations; and (b) system administrators at Internet service providers or other network or computing facilities, or other third parties, in order to enforce these Terms. Such cooperation may include the disclosure of personally identifying information. BY ACCEPTING THESE TERMS, YOU WAIVE AND HOLD HARMLESS INTERNATIONAL BALLET BARRE FITNESS ASSOCIATION AND BARRE CERTIFICATION FROM ANY CLAIMS RESULTING FROM ANY ACTION TAKEN BY ANY MEMBER OF INTERNATIONAL BALLET BARRE FITNESS ASSOCIATION AND BARRE CERTIFICATION DURING OR AS A RESULT OF ITS INVESTIGATIONS AND/OR FROM ANY ACTIONS TAKEN AS A CONSEQUENCE OF INVESTIGATIONS BY EITHER A MEMBER OF BARRE CERTIFICATION OR LAW ENFORCEMENT AUTHORITIES. Content on the Site is provided for entertainment purposes only. The Site and Content are provided on an “as is” and “as available” basis. YOUR USE OF THIS SITE IS AT YOUR OWN RISK. 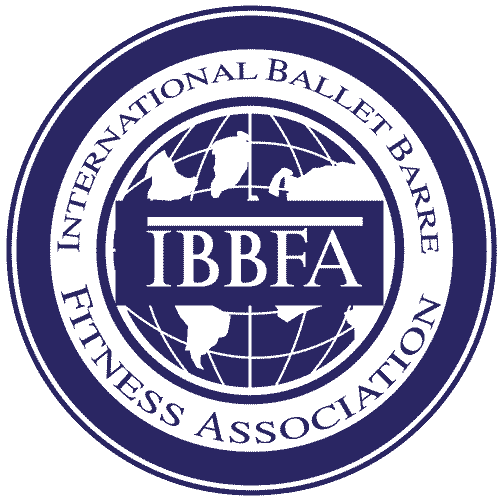 TO THE FULL EXTENT PERMISSIBLE BY APPLICABLE LAW, INTERNATIONAL BALLET BARRE FITNESS ASSOCIATION AND BARRE CERTIFICATION AND THE SITE EXPRESSLY DISCLAIM ALL OTHER REPRESENTATIONS OR WARRANTIES, EITHER EXPRESS OR IMPLIED, AS TO THE SITE OR CONTENT, INCLUDING WITHOUT LIMITATION IMPLIED WARRANTIES OF MERCHANTABILITY, FITNESS FOR A PARTICULAR PURPOSE, TITLE, AND NON-INFRINGEMENT. IBBFA does not make any representations or warranties that (a) the Site or Content will meet your requirements or expectations; (b) the operation of the Site or Content will be uninterrupted, timely, secure, accurate, or error-free or that any errors will be corrected; (c) any particular results will be obtained from the use of the Site; or (d) the Site or the server that make the Site available are free of viruses or other harmful components. If applicable law does not allow the exclusion of some or all of the above implied warranties to apply to you, the above exclusions will apply to you only to the extent permitted by applicable law. IBBFA will consider anything you provide to BC and/or contribute to the Site as available for our use free of any obligations to you, except where solicited invited submissions are expressly governed by additional terms appearing elsewhere on this Site, in which case those additional terms will determine how we treat your invited submission. The Site may include links to various third party websites. BC is providing these links solely as a convenience. Such linked third party sites are not under the control of BC. We have not reviewed all of the sites linked from the Site and are not responsible or liable for the contents available at any such linked site. The appearance of a third party link on the Site does not imply IBBFA’S endorsement of the linked site, its sponsors or any products or services offered on the linked site. Use of any linked site is at your own risk. You agree to comply with all applicable laws, statutes, ordinances, and regulations regarding your use of the Site and you purchase of the products and services on the Site. IBBFA controls the Site (excluding third party linked sites) from its corporate offices within Arizona, United States of America. IBBFA makes no representation that the Content is appropriate or available for use in other locations, and accessing the Site or Content from jurisdictions where such access or the Content is illegal is prohibited. Users are solely responsible for compliance with all the laws of their jurisdictions. The laws of Arizona, specifically excluding choice or conflict of laws principles, will apply to all disputes relating to or arising from you use of this Site (a “Dispute”). You also agree to submit to the exclusion personal jurisdiction and venue of Mesa, Arizona, United States of America, or of any federal court located in Arizona for resolution of any and all Disputes related to the Site or Content. The Site and Content are the property of IBBFA, and its licensors and are protected by United States and International Copyright laws. All copyright, trademark, and other proprietary rights in the Site and in the services, products, software, text, graphics, design elements, audio, music, and all other materials originated or used by IBBFA at the Site or elsewhere are reserved to IBBFA and its licensors. In addition, the Site may contain trademarks, logos, and links to the web sites of third parties. Any domain names, URLs, trademarks or logos appearing on the Site or in any IBBFA site are the sole property of their respective owners. If you believe any Content infringes you copyright, please provide our Copyright Agent with the following information: (a) an electronic or physical signature of the person authorized to act on behalf of the owner of the copyright interest; (b) a description of the copyrighted work that you claim has been infringed; (c) a description of the photograph and /or video content that you claim is infringing and where it is located on the Site; (d) your address, telephone number, and email address; (e) a written statement by you that you have a good faith belief that the disputed use is not authorized by the copyright owner, its agent or the law; (f) a statement by you, made under penalty of perjury, that the above information in your notice is accurate and that you are the copyright owner or authorized to act on the copyright owner’s behalf.